If ever an Instagram story could do with a caption, this is it. 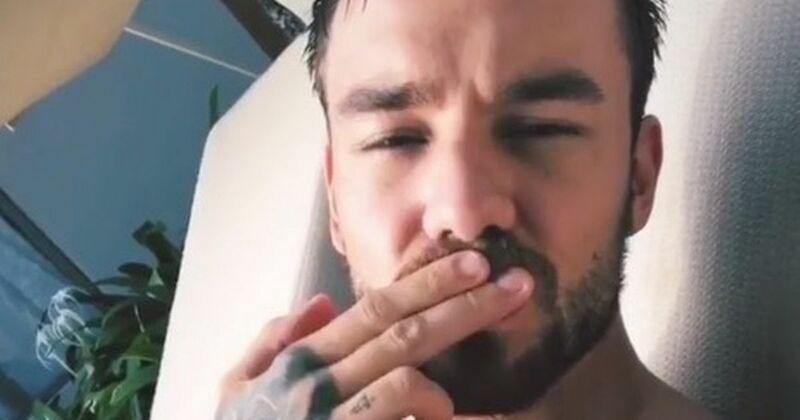 Liam Payne uploaded a sultry bed selfie just as his ex-Cheryl took a verbal battering for her "questionable" dance skills. Romantics had hoped the pair’s Christmas reunion may have sparked some old flames. Cheryl invited the former One Direction star to spend the day with her and their baby son Bear. After more than two-and-a-half years together, they announced their split back in July – just months after their son’s first birthday. Liam posted the picture and we can only guess what’s going through his mind a year on from when they pair were celebrating their child’s first Christmas. "It’s the first Christmas that Bear will be old enough to appreciate a little of what’s going on, so she’s very excited by the thought of them all being together," a source said. "Liam’s really grateful and hopes he can make it. He’s glad their friendship is like this, it’s lovely how things are turning out between them." She could probably do with someone to take her mind off things. Dancing on Ice star Jason Gardiner has slammed the ex-Girls Aloud beauty, 35. She is on the BBC’s The Greatest Dancer, alongside Strictly star Oti Mabuse and Glee star Matthew Morrison. Catty Gardiner said: “The judging line up on that is questionable as well…what’s her dance background?